Now that Donald Sterling is banned for life from the NBA for making racist comments, the list of people who want to purchase the Los Angeles Clippers is steadily growing. Of course Sterling won’t go down without a long, annoying legal fight, but nevertheless, everyone seems to have interest in the franchise if and when it gets put up for sale. Our favorite potential owner so far? None other Big O. 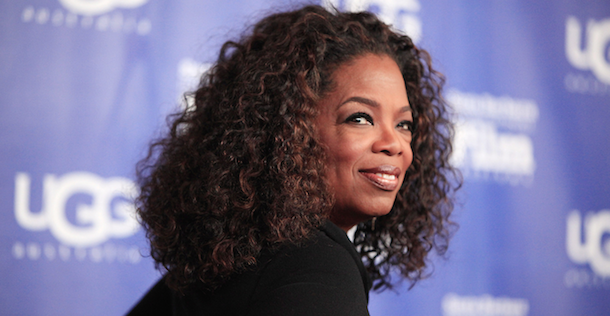 According to ESPN, Oprah is considering buying the Clippers. The media maven would be part of a team that includes David Geffen and Larry Ellison. If the trio ends up buying the team, we’re setting the over/under for average number of fans who show up to Clippers games with signs that read “You get a win! You get a win! You get a win!” at 455.